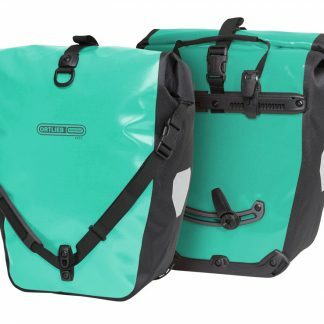 Lightweight, durable and guaranteed waterproof rear bike bags by ORTLIEB have an excellent reputation among biking enthusiasts. 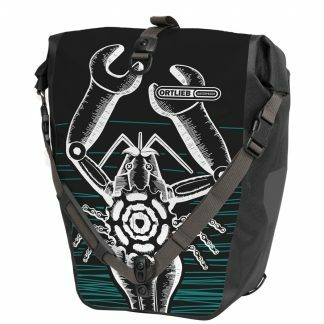 Whether you’re planning an extended tour or a ride into town, you’ll find the right bike bag here! 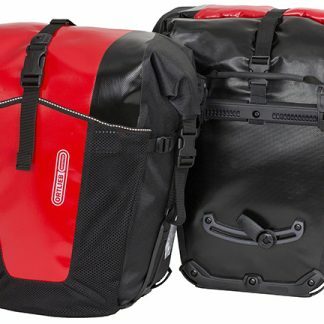 The Back-Roller is the classic in our line of rear bike bags. 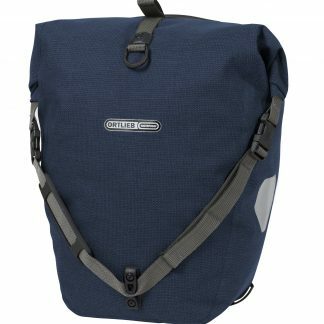 A ripstop CORDURA or polyester fabric that repels every drop of rain and a payload of 40 or 70 liter per pair make these bike bags the ideal touring companion. 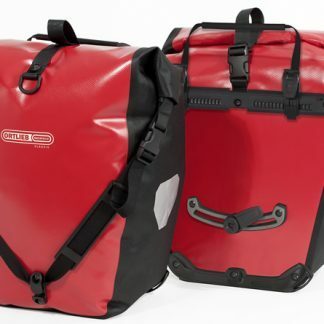 Equipped with a pair of Back-Rollers for your rear wheel and a Rack-Pack in size S or M on your bike rack, you’ll have enough stowage space for that epic bike trip you’re planning. 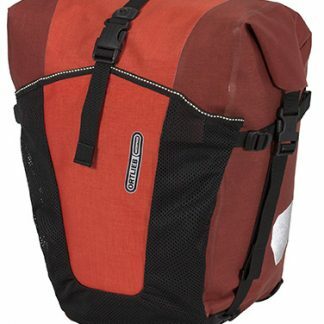 Or consider our Travel-Set, which consists of a bike rack case, two panniers for your rear wheel and a handlebar bag. While you can naturally also use our Back-Roller for your daily ride to the office, we have other customized models in our city-biking line of products. 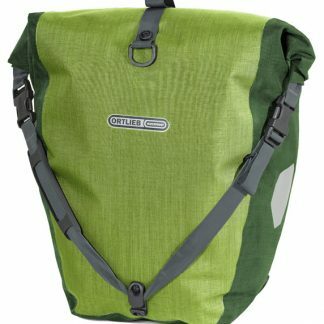 For instance, with its 18-liter payload and special cover, our Velo-Shopper rear bike bag is ideal for shopping in town. 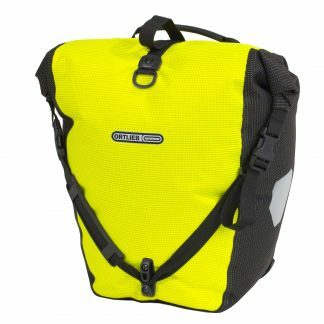 Our Office-Bag, which offers plenty of space for a computer notebook and folders, is ideal for your ride to the university or office. 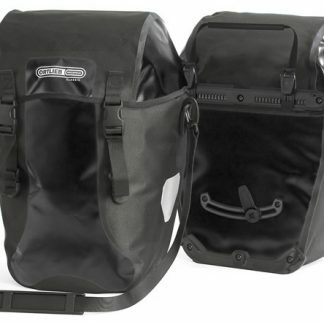 And if you ride a recumbent bike, you’ll want to consider our Recumbent Bike Bags. 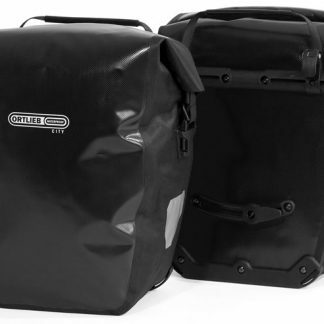 Thanks to our Quick-Lock mounting system, you can quickly and easily attach your bags to or detach them from your bike rack. 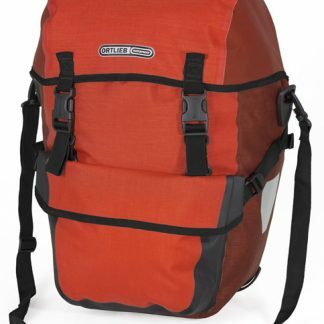 Shoulder straps enable comfortable transport whenever you want to set off on foot. 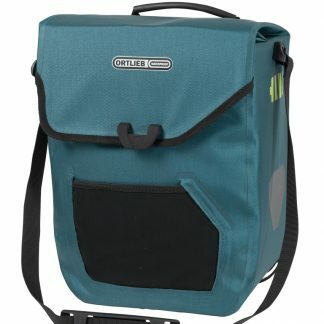 Rear bike bags by ORTLIEB are faithful companions!